Enjoy the natural light and views of the great outdoors with casement and awning windows from Window World of Kansas City. Along with lowering your energy bills, our casement windows are the perfect way give your home an open, clutter-free look that makes any view more elegant. Of course, our casement windows are backed by our Lifetime Limited Warranty. ClimaTech Insulated Glass Package featuring Low-E Glass & The Intercept™ Warm Edge Spacer System, for added insulating performance. Standard, contour or brass grids-placed between the panes for easy window cleaning. Specialty grooved glass panels for a unique custom look. Think casement & awning windows could be right for your home? 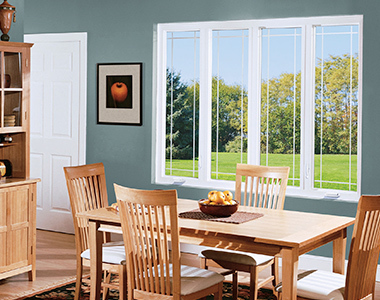 Contact Window World of Kansas City today for your free in-home estimate!